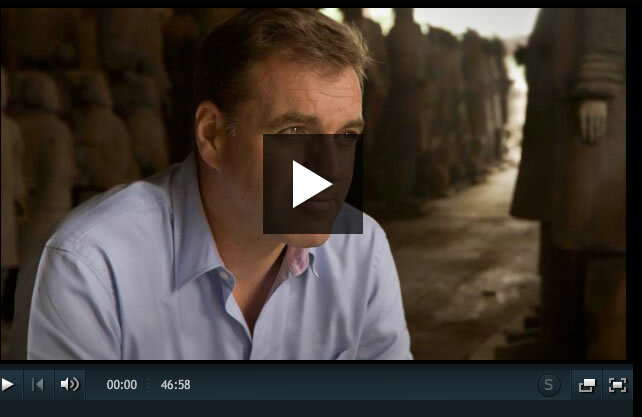 Niall Ferguson: China, Turmoil and Triumph, a Flawed Understanding of China? "The twilight of gold appear[s] to have arrived. True, total blackout is still some way off...Gold has a future, of course. And that was when Gold hit rock bottom and began a 13 year bull market, and for many years since he remained bearish. As with all academics with plenty of time to construct arguments and theories based on extrapolating existing trends which can as we often see with the markets and economies prove worthless to what actually comes to pass, as by the time the story is being broadcast by the likes of Channel 4 to a mainstream audience, it is already a well established and obvious to most trend with much of the move already behind it. Niall's latest China series comprised of 3 parts, parts 1 and 2 can be put down to candy floss, as they basically looked at China's history and how it arrived at the present under Mao's communist party, therefore the meat of his arguments were contained in the third installment that can be summarised into the following views of China and where it is going and what it means for the world. * Chinese people can be easily mobilised by the communist party, though with near random good or bad outcomes. * The Chinese people do not think like the people in the west, which is why the vast majority do not want democracy and freedom. * As the Chinese people get richer they will NOT become like the west. * Nationalism is on the rise in China as Chinese people increasingly believe their own propaganda of being special as to the reason why they are developing at such a fast pace. * China could follow the same path as early 1900's Germany into wanting to build an empire and world conflict. This and the other 2 episodes are available to view online at the Channel 4 website. Flaws in Niall Ferguson Understanding of the China Story. Niall Ferguson has over complicated the reason for China's development by getting far too close to the subject at hand because the same reasons for China's development can be applied to virtually every other developing nation that could replicate China's growth rate just as developing countries before have such as Japan developing at mega-fast from nowhere to fully developed states, and as we are seeing with China in the present this is being aided by current technology that acts to accelerate the pace of development. The major error that Niall Ferguson is making is that he is forgetting that China is a country of 1.3 billion people so of course everything will appear to be on a huge scale considering the mass of people at work, however to get the real picture and real state of the chinese economy one has to divide everything produced by 1.3 billion to get a true state of the development on a per capita basis. The real reason why China is developing so fast and as is the case with many other developing countries such as Brazil with India not far behind is because of the mega-trend for convergence of GDP as detailed in the Inflation Mega-Trend ebook (FREE DOWNLOAD) as the below excerpt illustrates. So the real reason why China is developing at such a fast pace is because China on a per capita basis is so far behind the western nations, with current per capita estimated at $8500 still lagging far behind the likes of the US and UK at 48k and 36k per capita which explains in totality why China is enjoying growth rates of near 10% per annum because it has yet to get to even to the half way mark of where the west is today. Contrary to what Niall Ferguson may suggest or threaten for the west, China can never even approach the west let alone beat the west because many of the reasons Niall Ferguson puts forth as China's great strengths will in fact act as nooses around the Chinese economies neck that will tighten as China approaches 50% of Western per capita GDP mark with the rate of development likely stalling soon afterwards. * The communist party that infects every facet of ordinary life so as to control the people through fear of what the party could do to anyone that does not follow the party dictats. This is a huge and growing bureaucratic leech that numbers 81 million today that acts to drain the Chinese economy that will make its presence increasingly felt as China's economic growth rate slows. * Corruption - As a consequence of the one party state, corruption in China is endemic, the Corruption Index ranks China as 75th most corrupt country. Off course China is not alone in corruption amongst the developing nations as countries such as India (95th) will also face bottlenecks to growth as a consequence of corruption, but they have at least some resemblance of democracy to produce a mechanism for change, whereas there is no such mechanism in China, corruption goes hand in hand with the communist party and as long as the communist party is in charge it cannot be effectively dealt with. Neither do I agree with Niall's conclusions that the Chinese people as being different to western people and thus not wanting democracy and freedom as well as everything else available to those in the west, the same used to be said of the Russians. Yes it will take a bloody revolution for the Chinese people to free them from communist party rule which is ultimately what will happen though which is still probably more than a decade away, but which I see as inevitable and as we have seen with the arab spring it is something that could happen relatively quickly. The bottom line is this that China can never rival the west on a per capita basis unless it becomes the same as the west in virtually every aspect. This means China, as is the case with all totalitarian states will start to hit an economic road block at around the 50% of the west's GDP that puts it around at $20k per capita. Still a $20k per capita economy gives China plenty of room to grow over the next 10 years. Another major element of Niall's series is to warn the west of a world effectively turning Chinese, and the risk of China following the early 1900's Germany into a series of empire building conflicts as it lashes out at existing powers standing in its way, much as the West had to confront communist Russia that whilst never proved to be an an economic rival to the west, did however result in a highly costly resource consuming high risk cold war for some 50 years, which could be replicated in a similar cold war conflict with China as the west attempts to keep the Chinese Dragon boxed into East Asia, which would feed the military industrial complexes of all nations. Still it is bit of a leap for Niall to scare monger to such an extent by putting the German label onto a possible Chinese future empire when it appears to be following the early British model of Empire building through Trade. The mega-trend for the convergence of GDP's between developing countries such as China, India and Brazil continues to unfold which means downward pressure on wages and purchasing power of the west and upwards pressure on wages and purchasing power of the developing or more accurately termed as the newly industrialising world. In this respect we have at least a decade to go, which in my opinion will result in high inflation in the west as governments print money to inflate the purchasing power of wages away so as to converge with the likes of China, and even higher inflation in the east as they seek the consume as westerners. This mega-trend will stoke the fires of Inflation for at least the rest of this decade. And it could yet get even worse than that as China's growing economic power will also play out militarily in attempts at rivaling the west. Whatever follows will result in an highly inflationary environment as we will be forced into a new arms race whether we like it or not, much as Niall Ferguson concludes that China's dash for development and resulting empire to feed the totalitarian state driven manufacturing engine has all of the potential pitfalls in place to replicate that of early 1900's Germany as the Chinese start to believe their own nationalistic propaganda that they are special people, different to others, destined to rule over others by virtue of natural superiority. We are not there yet, but we can see elements at work in Africa today as Niall shows Chinese workers deprecating the value of african workers performance that they employ to whom they pay chinese wages and offer chinese working conditions that do not match those offered by western mining corporations. As China's trade links coalesce into the formation of a colonial empire of sorts, this would set the scene for many flash points for conflict between China, the West and the peoples of these new Chinese colonies as China would react with its own version of gun boat diplomacy in the form of a fleet of newly built air craft carriers that will soon start sailing towards new colonies. However at the end of the day, the Empires of the West have a well over 200 year head start, the best China can hope for in the long-run is to become a big version of Japan, or it faces a similar fate to the Soviet Union, including the possibility of a break-up. Therefore my opinion is that Niall Ferguson has got it all wrong, instead of China's development being a threat to the Western world, it is rather that China is under greater threat from Western interference as a consequence of painting an ever larger target on its back. For the bigger the perceived threat China appears to pose to the Western Nations, the more willing they will be to martial resources towards neutralising this threat, as western populations are increasingly fed plenty more mouthfuls of propaganda such as Niall's scare mongering threats of China effectively becoming the next Nazi Germany! Therefore for China to survive, intact, it needs to continue doing what China does best which is to produce junk on an epic scale to first fill up western garages and then domestic Chinese garages whilst attempting to steer clear of the global Geopolitical arena, which is something it may find increasingly hard to do if rising Chinese nationalism as Niall Ferguson suggests is true. The bottom line: China's growing economic prosperity is turning it into a target as the military industrial complexes on BOTH sides mobilise for profit. Resistance is Futile, China will be assimilated just as every nation is being into a uniformly western world. 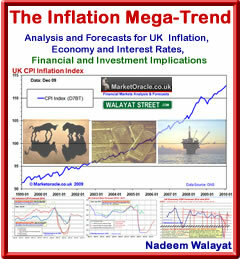 My next in-depth analysis will focus on the Inflation Mega-trend expectations for this whole decade. Ensure you are subscribed to my newsletter to get this in your email in box.